We invite you to join us for a Chem. Soc. Rev. Symposium at Lanzhou University on 21st September 2015. The event is free to attend and there is no need to register in advance. The symposium will feature lectures from Chem. Soc. Rev. Editorial and Advisory Board members from China and across the world, who are leading researchers in their respective fields. The topics covered will span a broad range of cutting edge chemistry and will appeal to anyone working in chemistry and its interfaces with other disciplines. 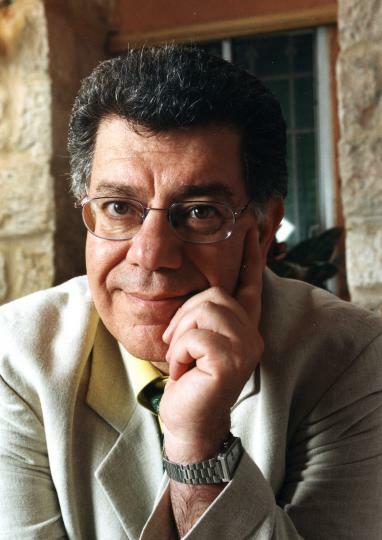 17:15 What could molecular assembly learn from chemical catalysis? Chem. Soc. Rev. Executive Editor, Dr May Copsey, the Chair of the Editorial Board Prof. Philip Gale and our local host, Professor Haoli Zhang warmly invite you to take part in this event and look forward to welcoming you to Lanzhou. Chem Soc Rev Impact Factor reaches a record 33.383! We are delighted to announce that the latest Chemical Society Reviews Impact Factor has risen to 33.383 – its highest ever, and showing a fantastic 9.7% increase from last year – according to the 2014 Journal Citation Reports®. We sincerely thank you – our authors, referees, Associate Editors, and Editorial and Advisory Board members – for all your valuable contributions and continued support which have brought the journal to where it is now. 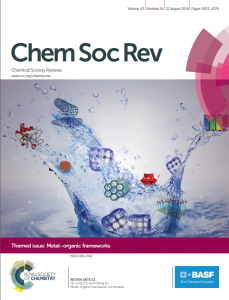 With a truly international authorship publishing accessible and reader-friendly articles, Chem Soc Rev remains as the home of high impact reviews from across the chemical sciences. You can read our most highly cited review articles listed below. Read more Impact Factor highlights for the Royal Society of Chemistry’s leading journals, including Chemical Science and Chemical Communications. *The Impact Factor provides an indication of the average number of citations per paper. Produced annually, Impact Factors are calculated by dividing the number of citations in a year, by the number of citeable articles published in the preceding two years. Data based on 2014 Journal Citation Reports®, (Thomson Reuters, 2015). Chem Soc Rev is pleased to invite nominations for the 2015 Emerging Investigator Lectureship. This annual lectureship is given to recognise an emerging scientist who has made a significant contribution to their research field. To be eligible for the Chem Soc Rev Emerging Investigator Lectureship, the candidate should have completed their PhD on or after 15th September 2006. The winner of the lectureship will be asked to present a lecture at an international meeting. The Chem Soc Rev Editorial Office will provide the sum of £1000 to the recipient for travel and accommodation costs. The recipient will be presented with a certificate and will also be asked to contribute a review to the journal. Those wishing to make a nomination should send details of the nominee, including a brief CV together with a letter supporting the nomination, to the Chem Soc Rev Editorial Office by 15th December 2014. Please note that self nomination is not permissible. Following the close of nominations, nominees will be contacted and asked to summarise their key achievements and identify up to 5 of their top independent publications. They will also be asked to highlight the impact of their work and discuss how their research has evolved from their previous supervisor’s. The recipient of the lectureship will be selected and endorsed by the Chem Soc Rev Editorial Board. ChemSocRev Impact Factor rises to a record high – 30.4! Thomson Reuters have just released their latest citation data and Chemical Society Reviews’ (Chem Soc Rev) Impact Factor has risen to a record high of 30.425! With a truly international authorship publishing accessible and reader-friendly articles, Chem Soc Rev really is the home of high impact reviews from across the chemical sciences. You can read our most highly cited review articles listed below. Chemical Society Reviews contributor Sason Shaik, who recently published “A tutorial for understanding chemical reactivity through the valence bond approach”, features in our “175 Faces of Chemistry project”. He speaks about “these creatures called orbitals”, and the time when his project destroyed all of his spatulas. In the countdown to our 175th Anniversary, we are celebrating the achievements of 175 inspirational scientists. Find out more and be inspired. Our forthcoming Chem Soc Rev themed issue on Metal Organic Frameworks will be promoted at the forthcoming MOF2014 Conference, with all delegates receiving a free USB flash drive with a copy of the whole MOFs themed issue. 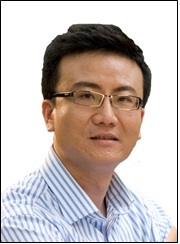 The guest editors are Susumu Kitagawa (Kyoto University), Chair of MOF2014, and (Joe Zhou, Texas A&M University). 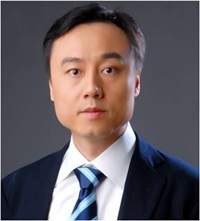 On behalf of the Chem Soc Rev Editorial Board, we are delighted to announce that Professor Peng Chen from the Peking University, Beijing, China, has been chosen as the winner of the 2014 Chem Soc Rev Emerging Investigator Lectureship. As a chemical biologist, Peng’s research aims to address fundamental questions in human health, specifically the threat of infectious diseases. Since 2009 his laboratory has focused on developing and applying novel chemistry tools to investigate protein based interactions and activities in living cells, with a focus on host-pathogen interactions. The group’s current research projects include ‘Photo-affinity probes for studying protein-protein interactions in living cells’, ‘Visualization of organic hydroperoxides in living cells’ and ‘Protein Bioorthogonal labeling in living cells’. The Emerging Investigator Lectureship is awarded each year to an emerging scientist who has made a significant contribution to their research field. Previous winners of the award include Xile Hu (2013), Xiaogang Liu (2012) and Cristina Nevado (2011). Nominations for the Emerging Investigator Lectureship 2015 will open later in the year – keep an eye on this blog. 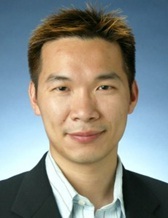 Peng will present his Emerging Investigator lecture and receive his award at an international event sometime in the next twelve months. Further details will be announced in due course. During the last three decades the chemistry of allenes has fascinated scientists world-wide. Guest editors, Benito Alcaide and Pedro Almendros, have gathered together a collection of papers highlighting the importance of allene chemistry. There is a diverse range of around 150 natural products containing an allenic or cumulenic structure; many of them showing interesting and promising therapeutic activities. 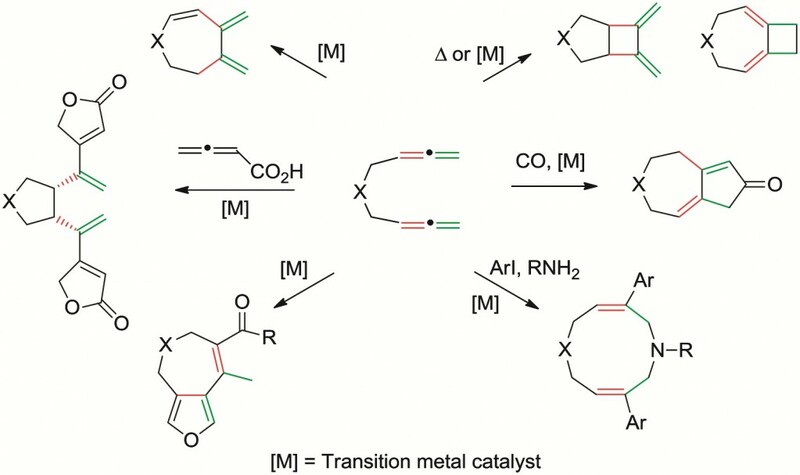 From tutorial reviews demonstrating the use of allenes as building blocks, the cycloadditions of allenes and an insight into the gold chemistry of allenes to review articles on the cyclization, synthesis and conversion of allenes, this collection acts as a reference for scientists in the area. The combination of these tutorial reviews and review articles illustrate the versatility of the cumulated diene system of allenes. This themed issue provides a multidisciplinary view of the chameleonic allene moiety – from synthesis, structure, and reactivity to properties of allenes. Click here to access the full collection of paper. To view the full editorial for free* click the link below. This year is the international year of crystallography so guest editors David Amabilino and Xavier Obradors from the Institute of Material Science of Barcelona, introduce the ‘Nucleation and Crystallisation’ themed issue of Chemical Society Reviews. It is over a hundred years since the thermodynamic principles of nucleation were established. The formation of crystals can be spectacular, but the mechanisms of their nucleation and growth are not fully understood. Control over crystallisation can be achieved, but there are still a number of outstanding fundamental questions that remain unanswered. With different backgrounds, yet a common passion for nucleation and crystallisation, our guest editors put together a collection of view-points of crystallisation from across different areas of chemistry. 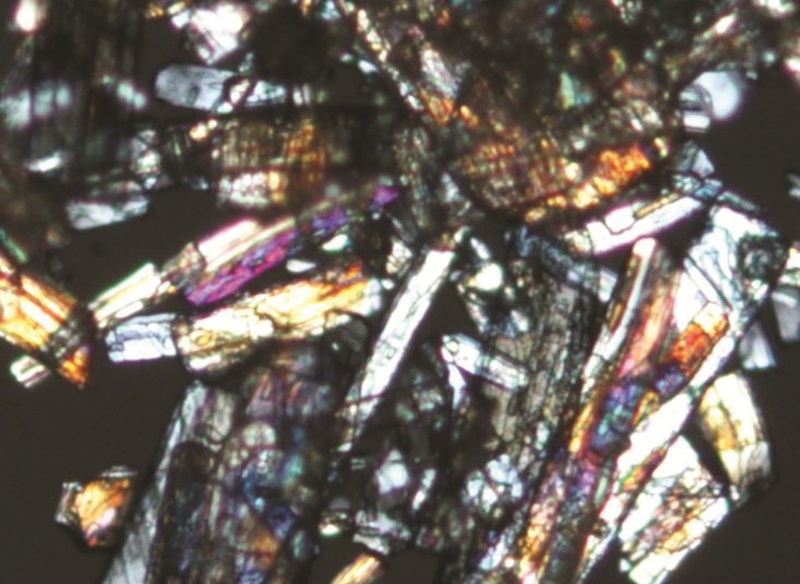 From crystal crops in Mexico to pulsed lasers and crystallisation techniques involving light, this stimulating collection fuses together the great advances made over the years in the different disciplines of chemistry. If this fascinating area of chemistry inspires you, why not attend the upcoming discussion in Leeds?